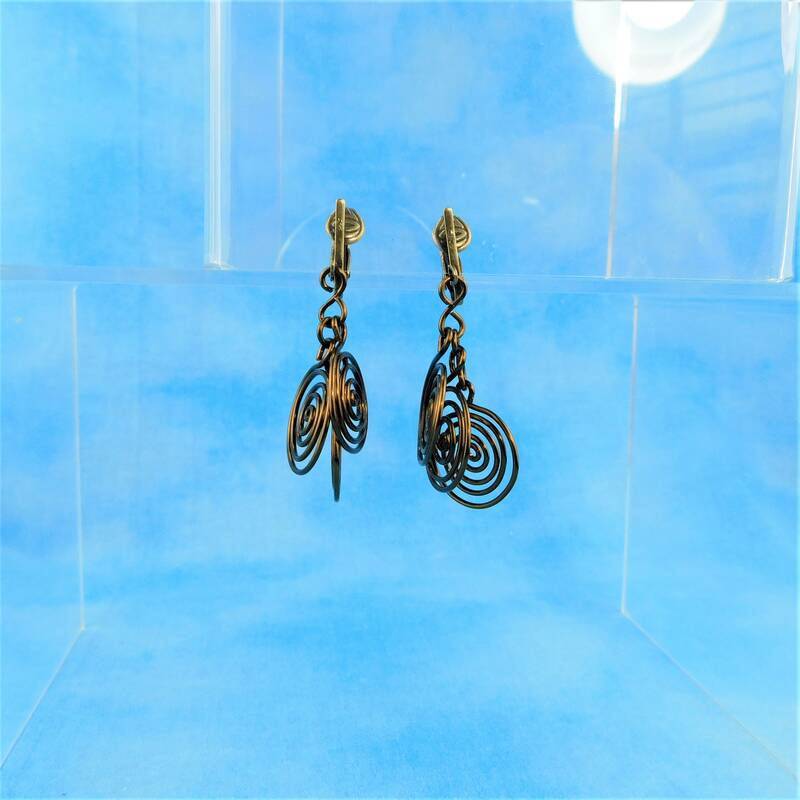 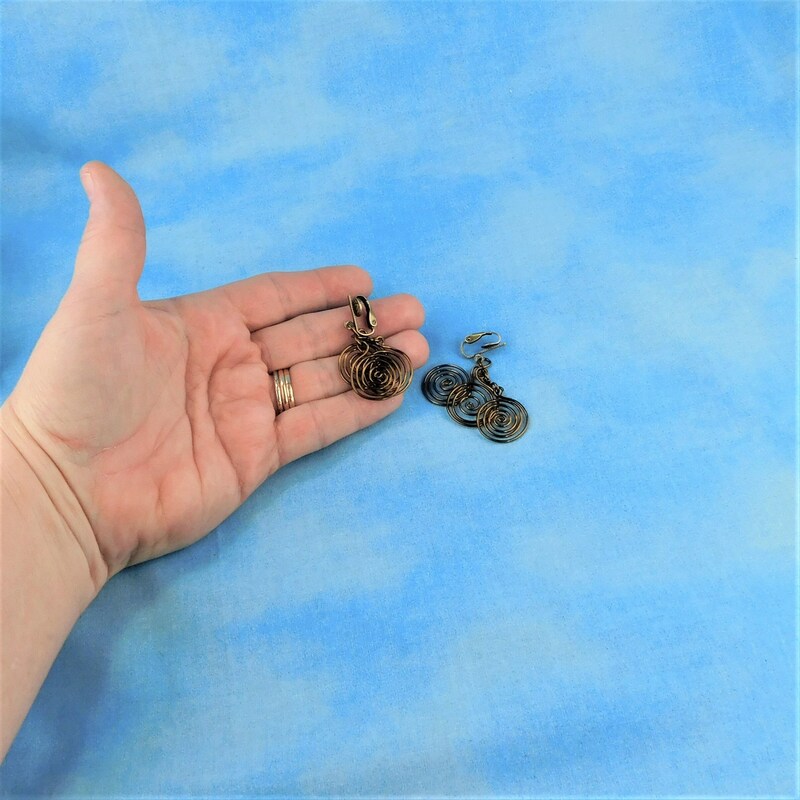 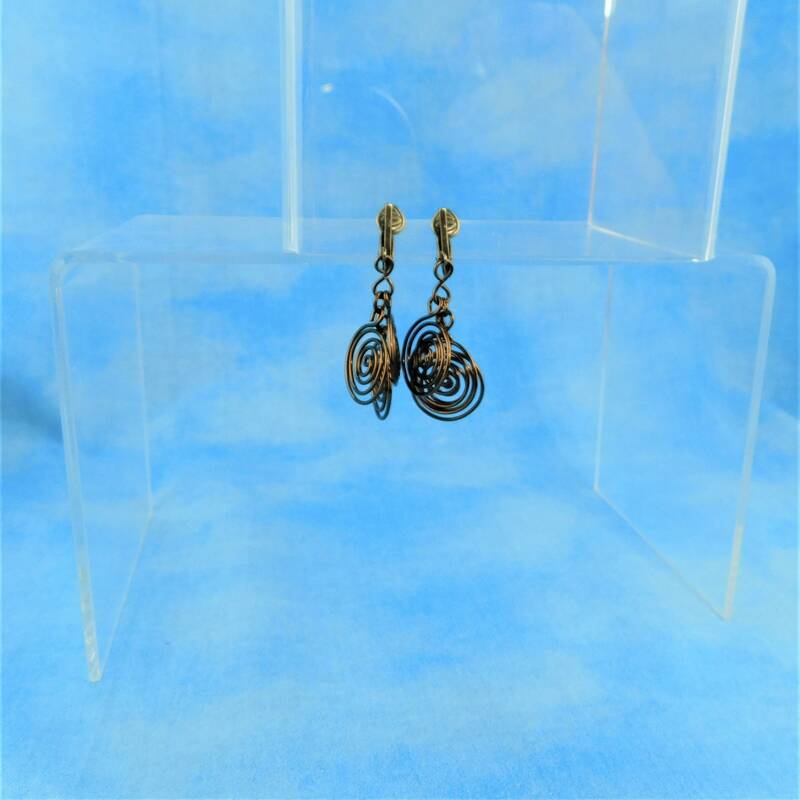 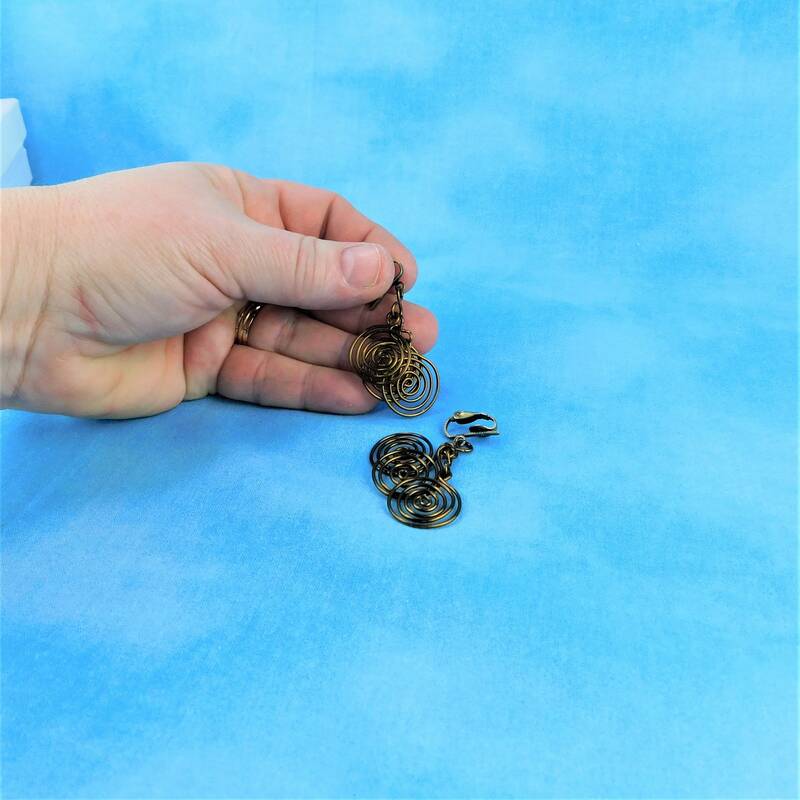 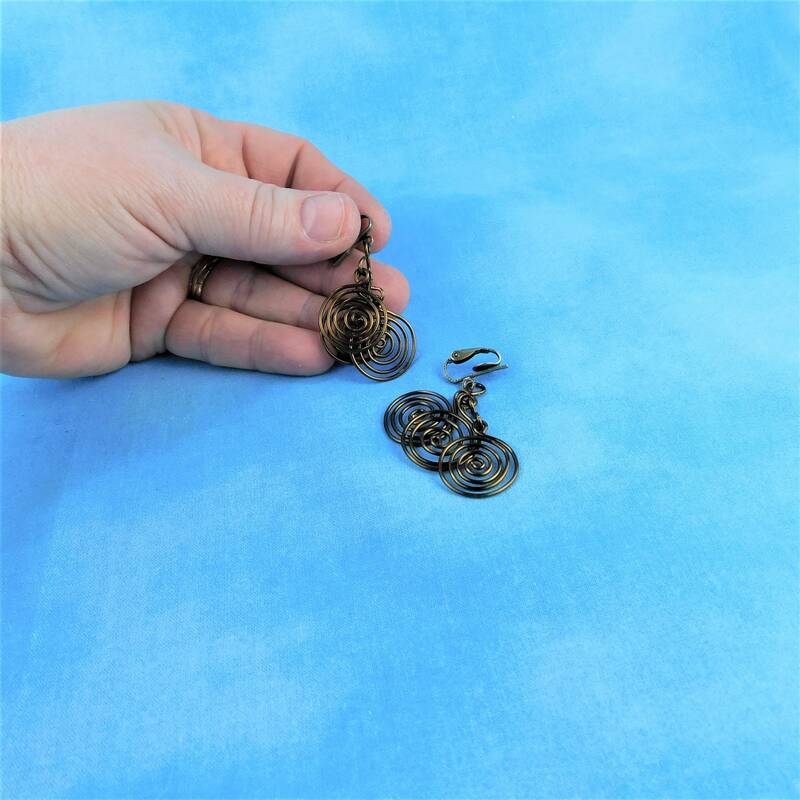 Vintage bronze tone copper wire swirls cascade from vintage bronze color pierced look clip-on ear clips. 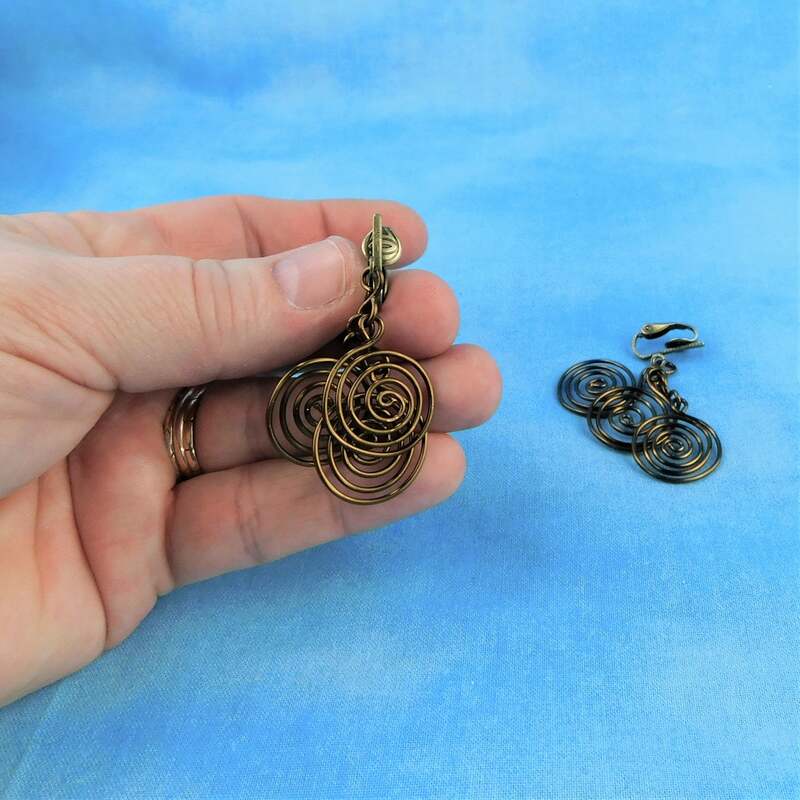 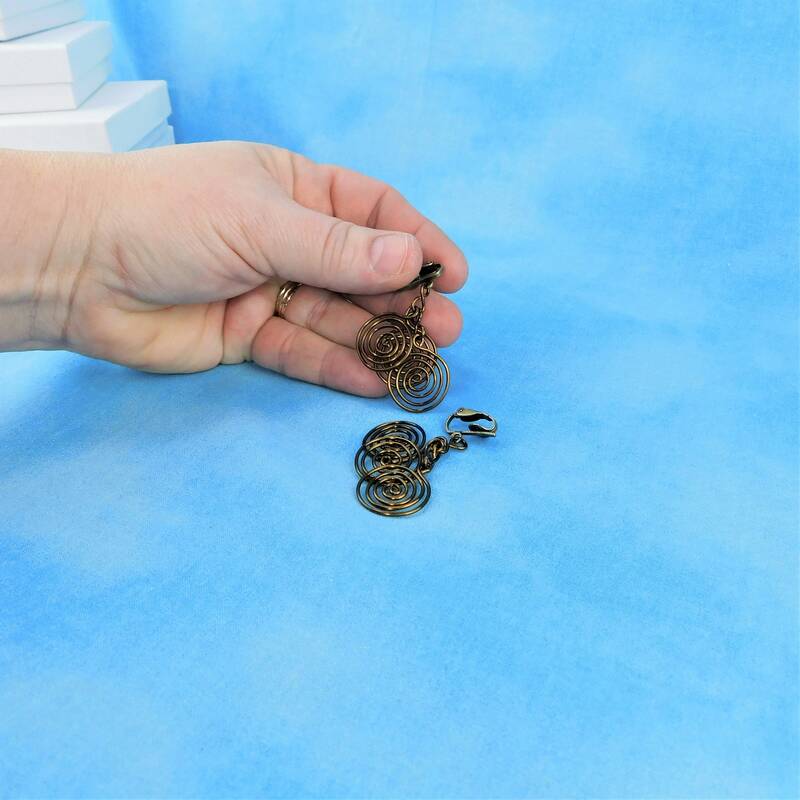 These are artisan crafted coils of wire, created using only pliers and patience. 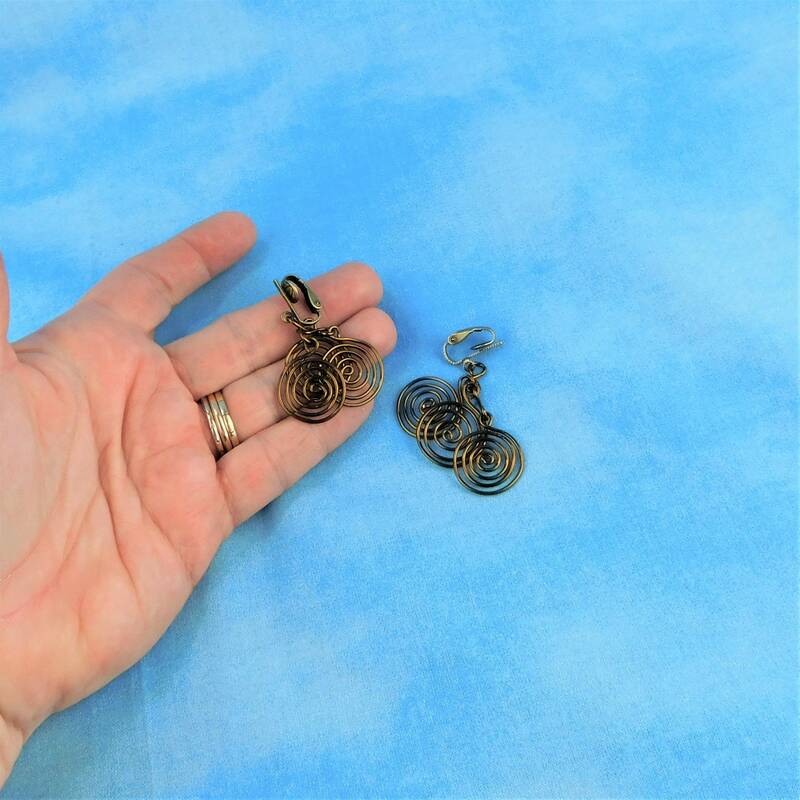 The entire earring drops 1 1/2 inches from the clip. 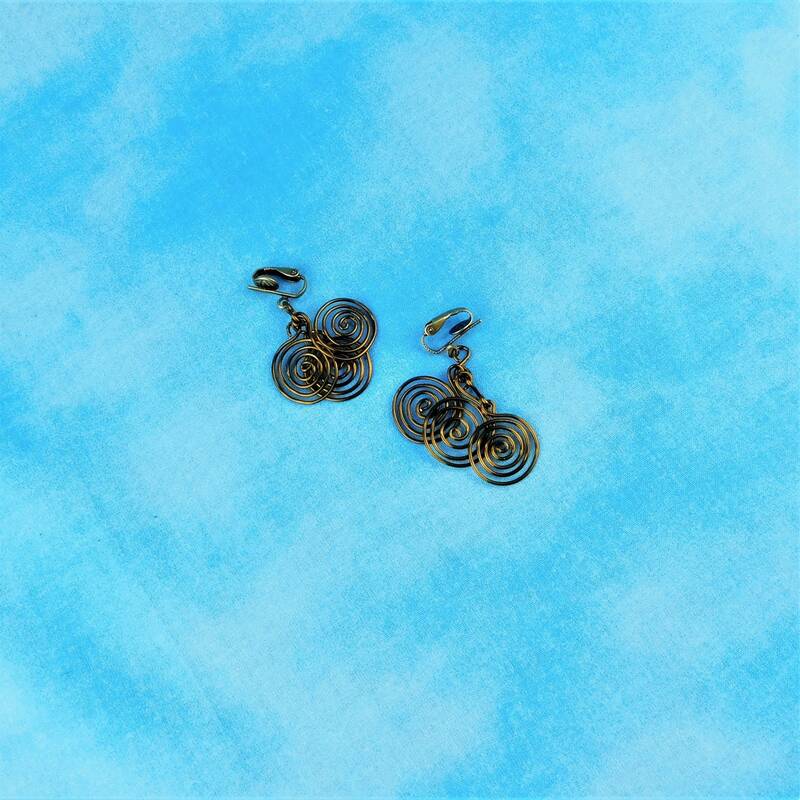 The movement of these circular wire elements makes music only you can hear. 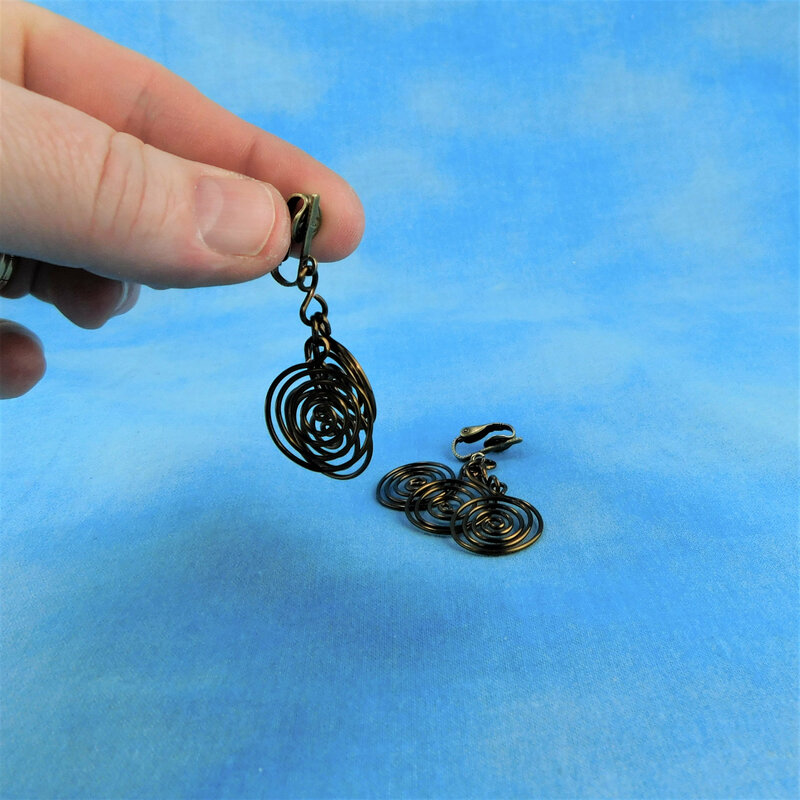 These comfortable, lightweight ear clips make a statement without overpowering.